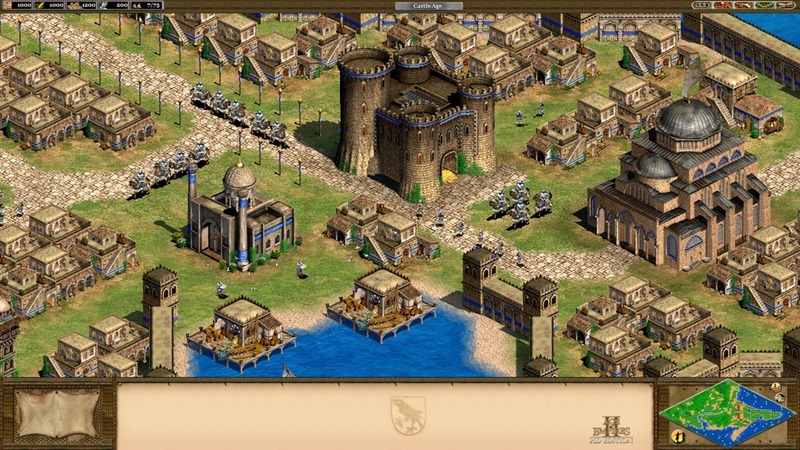 Age of Empires II HD should hit a nostalgic note for PC gamers of the early 2000s. The original Age of Empires II was a classic and, for me, a gateway to RTS titles in general. StarCraft and WarCraft were too fanciful for me, and Command and Conquer was too bland. 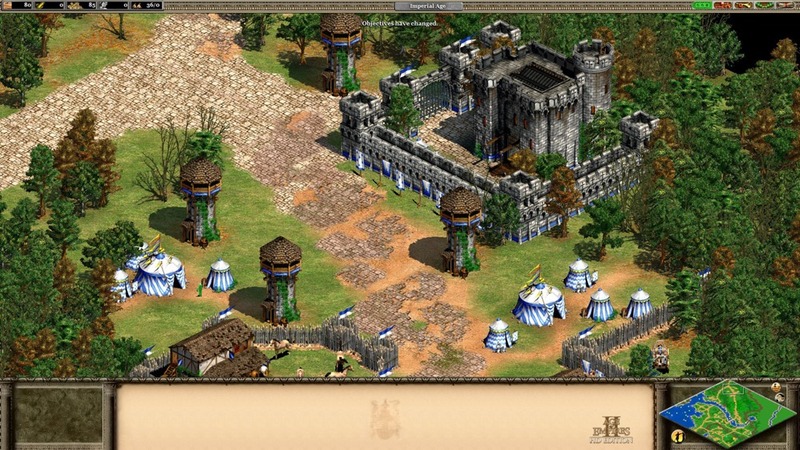 In AOE2 I found a game world familiar enough to be understandable but still varied and creative.With that in mind, it’s sad that I’m not more pleased with Age of Empires II HD. For what it’s worth, allot of my gripes aren’t against the game itself, but rather how time has treated it. The first thing I noticed upon bringing the game up was that all the old menus and options were present; not just from the original AOE: Age of Kings, but the Age of Conqueror’s expansion as well. The menus are just as you remember them, which makes it easy to navigate for vets of the game but a little hard on the eyes for gamers used to modern UIs. As I played, my first observation was how slow the game plays. Material gathering is slow; building is slow; research is slow; unit movement is slow… the game just feels slow. It would seem to lend itself to a more strategic model but in my experience moving troops feels like you’re fighting input lag. The game still has its old-school feel, and with it some minor grievances crop up. The default victory condition vs. the computer is annoyingly hard to reach, and I still get pissed when the wild animals attack my units just for passing by. There’s also no line-of-sight sharing with allies and the number of troops you can select at a time is a rather limited because each individual troop takes up a full spot against your unit selection limit. If you played AOE2 back in the day you’ll be right at home. Unit balance seems just as it always was and the controls have been ported smoothly. The visuals are sharp and nicely upscaled for modern displays, except for the garrisoning icon, which is squished and badly distorted. Thankfully it seems to be the only one. I gave the map maker (which is connected to the Steam Workshop) a spin and found it, too, had been ported really well. I did have a problem with the interface here – when I was attempting to use the text entry fields to change some settings, I hit Tab to move between the input panels, at which point I lost control of my mouse. I could move it but I could no longer see it, and I couldn’t click on anything either. I know I keep saying this, but if you enjoyed the Age of Empires II, you will probably enjoy this quality port. If you missed it, or are too young to remember it, I’d recommend you give it a shot. It’s as good as it was when it came out, but slightly tarnished by time. Not tarnished enough, though, to warrant passing it by.